TweetThe teal-clad faithful arrived early last Saturday morning to welcome new and returning players to Sharks Ice as training camp officially got underway for the 2011-2012 NHL season. During the off-season, forwards Devin Setoguchi and Dany Heatley were dealt in separate transactions to the Minnesota Wild as part of deals which brought defenseman Brent Burns and forward Martin Havlat to San Jose. The departure of Setoguchi surprised many, as he had inked a new 3-year contract the day prior to the trade. Burns, on the other hand, had but one year remaining on his existing contract and could have become an unrestricted free agent. Not skating on Saturday was former Los Angeles King Michal Handzuš, who signed a 2-year free agent contract with the Sharks on July 1. 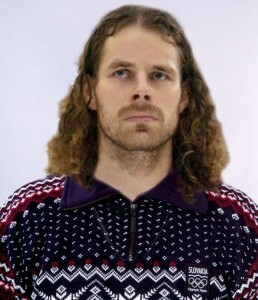 Handzuš had just returned to San Jose late the night before, having attended the funeral of his close friend Pavol Demitra who was among those killed in the tragic plane crash in Russia on September 7 which claimed the lives of the members of Lokomotiv Yaroslavl of the Kontinental Hockey League. Also killed in the crash was 20-year old San Jose Shark prospect Daniil Sobchenko, who had been selected in the sixth round of the 2011 NHL draft. Handzuš took a few moments to share his thoughts. It’s been a rough summer for the hockey world. Between the untimely deaths of NHL players Derek Boogaard, Rick Rypien, and Wade Belak, compounded many times over by the loss of the members of Lokomotiv Yaroslavl, there has never been a more sorrowful period in the history of the sport. And thus, the opening of training camp offers a respite from recent news. The chill of the rink, the roar of newly sharpened skate blades charging up and down the ice, the clanking of a shot off the post, and the smiles of happy children seeking autographs from stars and prospects alike, all herald the anticipation and hope of the season ahead. 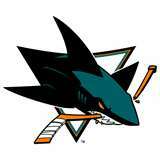 This weekend the Anaheim Ducks and Phoenix Coyotes will visit HP Pavilion as the Sharks continue their preparations for October. Are you ready for some hockey? This entry was posted in Advertisements, Inside Sharks, NHL and tagged burns, demitra, doug wilson, handzus, heatley, hockey, kings, lokomotiv, NHL, san jose, setoguchi, sharks. Bookmark the permalink.